Hostas are a hardy, versatile garden perennial. Their infinite variety of leaf colour, size and texture combined with their ease of cultivation, makes hostas the perfect plant for gardens of all types and sizes. This book introduces modern, busy gardeners to the charms of this beautifully diverse plant. Topics covered are: Discovery and development; Species; Cultivation; Propagation; Landscaping with hostas; Colour selection for borders and beds; Growing hostas in containers; Ideal garden settings; Water features; Good companions; and A-Z catalogue of hosta varieties. The growing popularity of hostas can be credited to their colourful beauty, longevity and ability to grow just about anywhere. With over 200 colour photographs and 170 species and cultivars described, this book is a beautiful introduction to this plant. This book is created for Firefly Books by the renowned New Zealand packager and publisher David Bateman and it features 200 colour photographs by Derek Hughes. Make it easy on yourself. 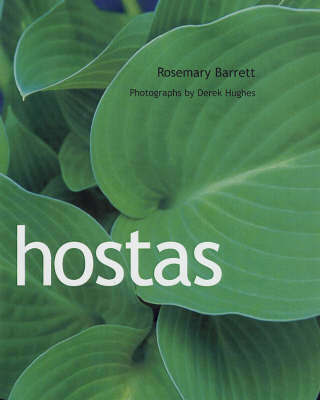 Learn everything you need to know about choosing and growing hostas from Rosemary Barrett.--Connie Krochmal "BellaOnline "